Patrol deputies engage in a wide variety of activities including enforcement of traffic and criminal laws, answering complaints, conducting investigations, community relations activities, transporting prisoners, and crime prevention. J.R. Grissom serves as Captain over the Patrol Division of the Charlotte County Sheriff’s Office. He began his career in 1997 as a jailer, moving to Patrol Deputy in 1998. 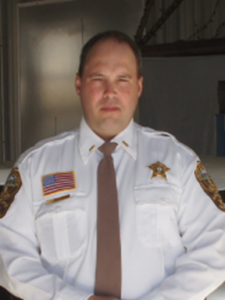 He was School Resource Officer in 2001, served the Tri-County Drug Task Force in 2005-2006, and Lieutenant in 2007. Captain Grissom is a Master Deputy, Field Training Officer, police sniper, and a member of the Charlotte County Sheriff’s Office Tactical Team. He is in charge of overseeing the daily operations of Patrol Division.